Feel free to give us a call anytime! 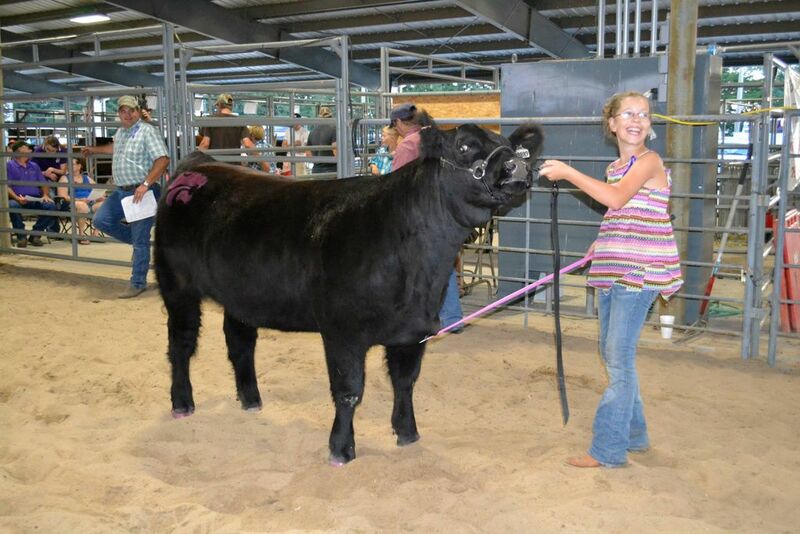 We would love to show this year's exciting calf crop to you! Check back for more information and additional pictures! 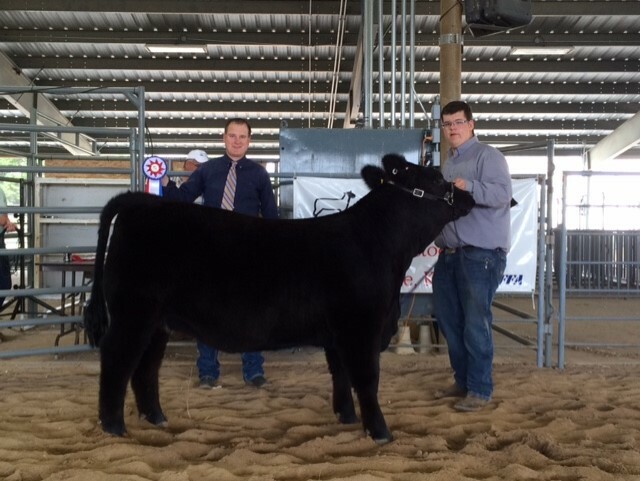 W-J Show Cattle - Wyatt and Josey have been showing cattle for a few years. 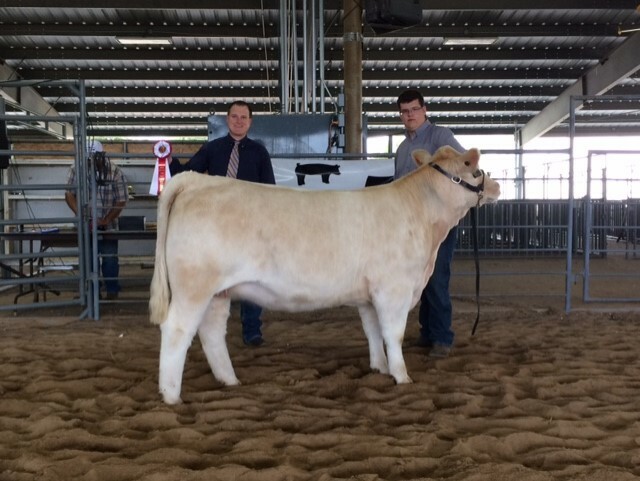 They have retained all of their past show heifers to begin a small but high quality cow herd for the purpose of raising affordable, high quality, steers and heifers that will be competitive in the showring. 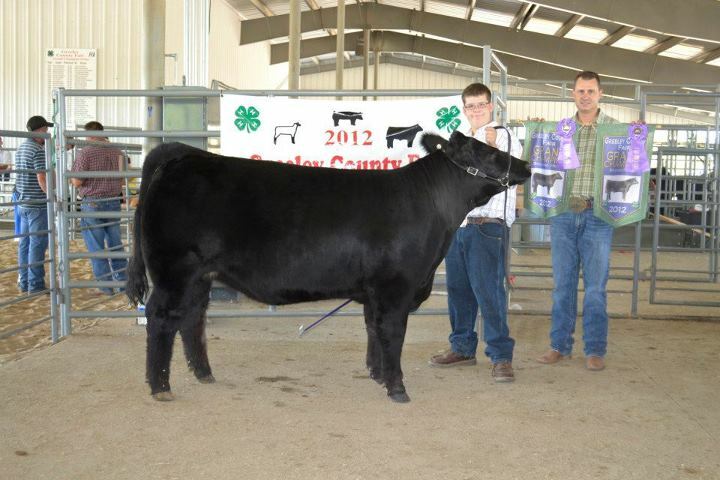 purchased from Wade Rogers, IA. 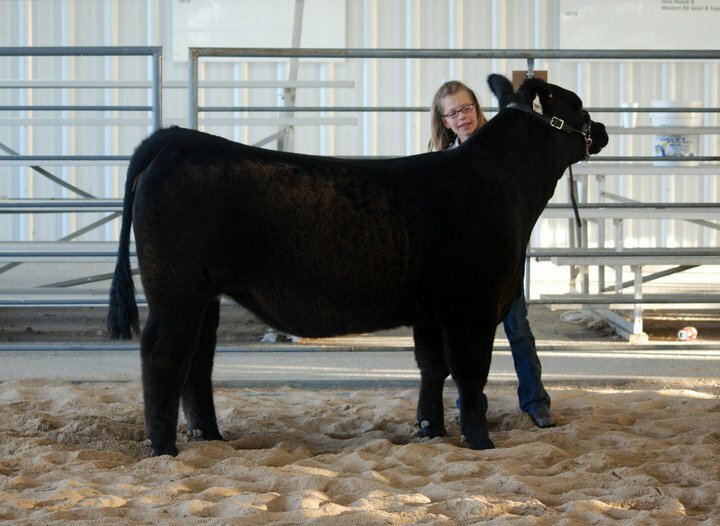 "Amelia" (Money Talks x Maine/Angus) Bred by: McKinney Cattle, KS. 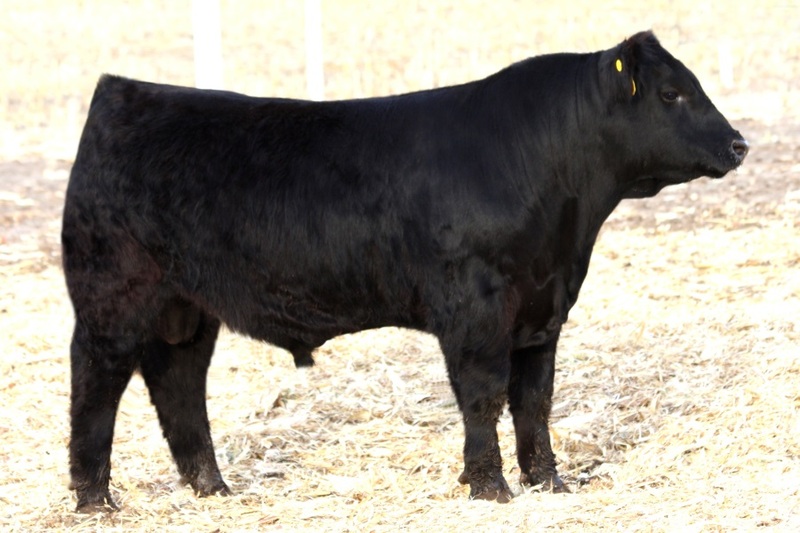 "Nancy" (Heatwave x Strictly Business) Bred by: Smith Cattle Co., IA. 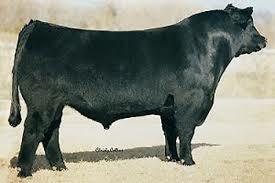 "Stella" (Monopoly x Ice Pick) Bred by: Schable & Smith, IA. 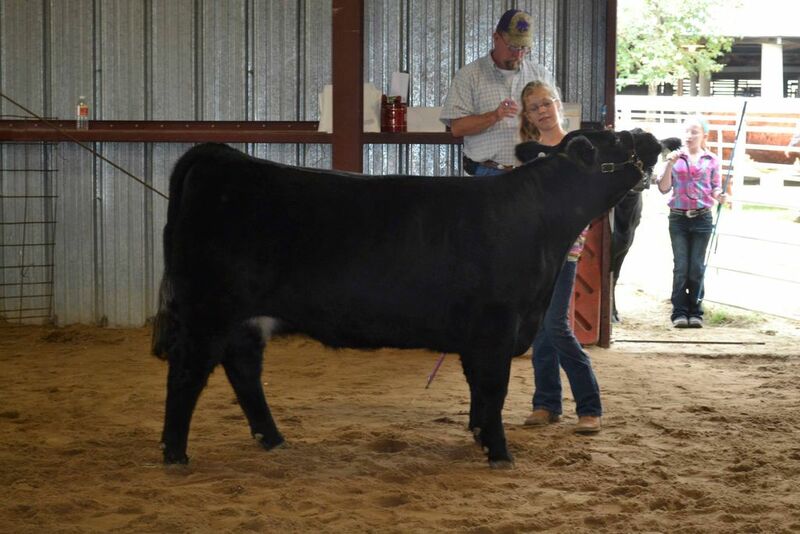 "Jolene" (Walks Alone x Cervesa) Bred by: Smith Cattle Co., IA. 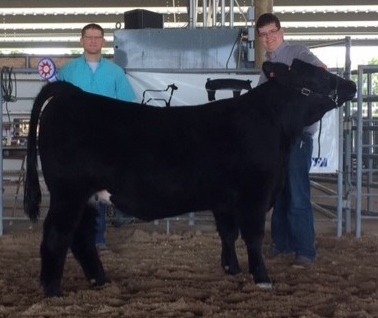 "Bob" (Smilin Bob x Chill Factor) Bred by: Smith Cattle Co., IA. 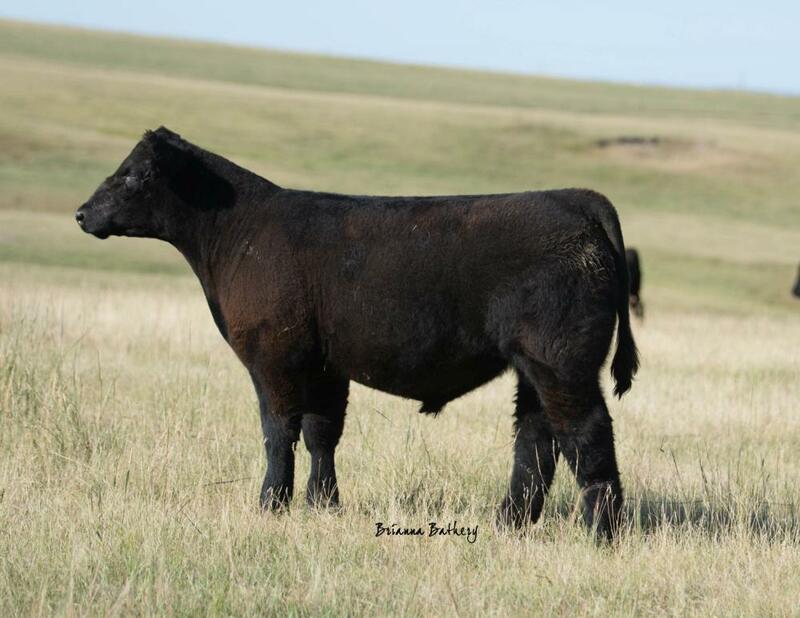 "Bella" (Monopoly x Maine/Simmi) Bred by: Smith Cattle Co., IA. 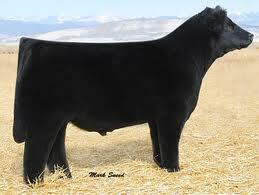 "Kaylene" (Walks Alone x Maximus) Bred by: NMJ Cattle, IA. 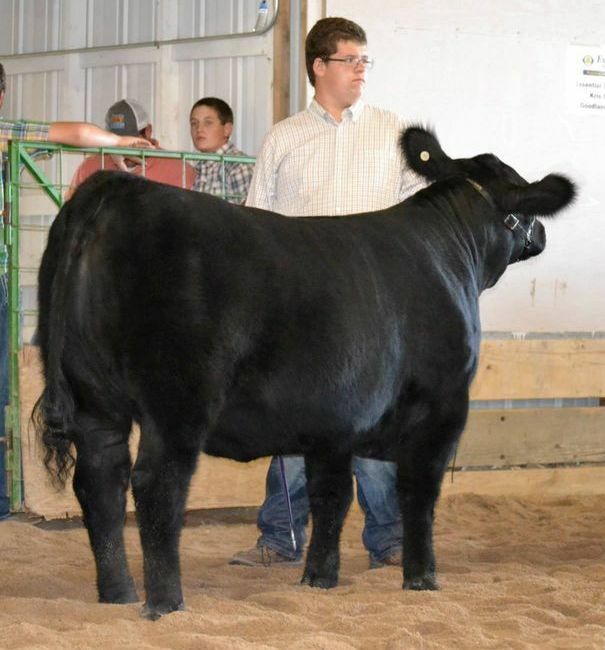 Charlene (Walks Alone x Simmi-Angus) Bred by: Smith Cattle Co.
Charlie (Carnac x DeJavu) Bred by: Smith Cattle Co.
Ariel (Carnac x Irish Whiskey) Bred by: Smith Cattle Co.